Where once Endpoint Security Platforms were dominated by anti-malware technology, they have begun to evolve to fit with new enterprise demands and cybersecurity paradigms. Preventative measures have proven not to be 100% effective, so endpoint security vendors have begun to develop endpoint detection and response (EDR) capabilities to stop lingering threats. They’ve adjusted to new threats like fileless malware and phishing attacks, working to make enterprises’ IT perimeters stronger against an ever-increasing wave of digital threats. 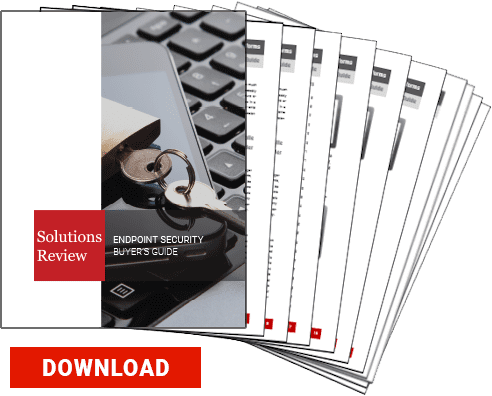 According to technology research giant Gartner, the endpoint security market is mature, which can make distinguishing between enterprise-level products difficult for the uninitiated. In an attempt to assist you with what can become a daunting task of selecting the right product, these are the best 25 endpoint security platforms and tools for 2018. Bitdefender is a good choice for enterprises, small and large, that value malware detection accuracy, performance, and full support for data center and cloud workloads from a single solution provider. The Bitdefender GravityZone Ultra solution includes an integrated EDR platform that could be crucial for enterprises of all sizes interested in automated detection and investigation and response features. They were named to the Gartner Magic Quadrant for Endpoint Protection Platforms (EPP). Carbon Black offers streaming malware protection and EDR to detect and prevent bad actors from attacking your organization in real time. Large enterprises looking for a full range of protection, detection, and response capabilities will find Carbon Black a good candidate to replace or augment their endpoint security platforms. They were named to the Gartner Magic Quadrant for Endpoint Protection Platforms (EPP) and to the Solutions Review Six Endpoint Security Vendors to Watch. Check Point Software provides a security solution that combines data and network security with threat prevention technologies, including remote access VPN for both Windows and Mac software. Check Point also offers anti-bot technology to block command and control technologies and a managed security service option. Check Point will handle all endpoint security for clients, ideal for companies looking to outsource their security or without an IT department on staff. Code42’s endpoint security platforms and cloud solutions let IT teams meet data privacy regulations, recover from data loss, and limit risk. Utilizing continuous, automatic collection via a lightweight agent on client’s devices, Code42 can protect endpoint data without human interference and track data file movement throughout your network. The simplicity of Code42’s program will appeal to enterprises looking to streamline their EPP, and the company makes data recovery easy with a simple interface that will benefit companies with limited IT resources. 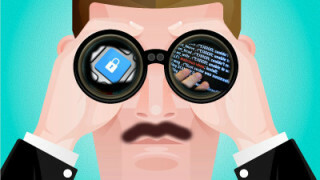 Via Comodo, system administrators can terminate suspicious network connections, force-close processes, stop services, and uninstall applications directly. Administrators can also resolve processes causing CPU or RAM saturation, quickly establishing the largest files on the endpoint’s hard-drive and selectively deleting them. Its Windows protection is perfect for small businesses or mid-sized businesses, as its hands-off style will help overwhelmed IT teams. They were named to the Gartner Magic Quadrant for EPP. CounterTack uses EDR, machine learning, and behavioral analysis to recognize threat context and increase endpoint visibility and catch threats missed by signature-based detection methods. Their endpoint security platforms distinguish between unknown and known threats via signatureless scanning and responses to both proportionally so that malware diversion tactics will not fool them. CounterTack can provide comprehensive anti-malware to mid-sized and large corporations and it emphasizes deep threat knowledge. CrowdStrike offers visibility in real-time and detects attacks within your software; it covers Windows desktop and servers as well as Mac computers, whether on or off the network, and combines EDR and anti-malware into a single agent—a benefit appealing to enterprises of all sizes. CrowdStrike additionally offers a large degree of customization in its security options and parameters and a managed threat hunting service for those concerned about ongoing issues and unable to divert IT resources. 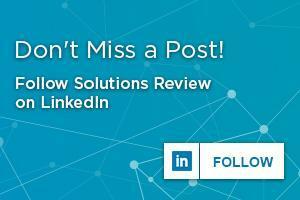 They made the Gartner EPP Magic Quadrant and the Solutions Review Vendors to Watch. Cylance was founded by a team of security industry professionals and scientists with the goal to “redefine the endpoint standard of protection by preventing threats from ever executing.” Their endpoint security platforms’ signatureless anti-malware provides an alternative to traditional, signature-based technology. It benefits from easy deployment and management, low-performance impact, and high detection rates against new threat variants. Cylance can shore up the defenses of enterprises of all sizes—Gartner recognized them in their EPP Magic Quadrant. Among its traditional anti-malware capabilities, ESET offers an anti-theft feature can help protect mobile devices and, if a device is stolen, can lock down the device or wipe it, ensuring that unauthorized persons cannot access its information. ESET is designed for mobile networks and workforces, with an easy deployment and lightweight solution. It will be of interest to SMBs without a dedicated IT department seeking a simplified and effective anti-malware software that will not compromise their business speed. They were named in the Gartner Magic Quadrant for Endpoint Protection Platforms. The primary focus of F-Secure’s endpoint security platforms is protection for PCs and Macs, offering proactive, machine-learning protection against the latest emerging threats. It comes with automated software updates and continuous endpoint protection against known vulnerabilities. F-Secure’s strong track record on anti-malware technology makes the company a good choice for enterprises prioritizing malware protection or who may be transitioning to more mobile forms of commerce or information transmission. Gartner named them in the relevant MQ report. FireEye incorporates firewalls, IPS, antivirus, and gateways as means of supplementing signature-based detection methods. The FireEye platform uses a virtual execution engine with threat intelligence to expose and obstruct cyber-attacks in real time. FireEye offers cybersecurity solution architecture with a wide range of capabilities to help security teams detect, analyze, and protect against the advanced threats targeting enterprises today. Their solution is accommodating to businesses of all sizes, offering tailored solutions for small and medium-size businesses. They were in both the Gartner and Solutions Review reports. Forcepoint’s endpoint security platforms watch for insider threats via behavioral analysis and use a multi-layered firewall to maintain network integrity even during device updates, using a centralized platform for easy deployment and management. The tools Forcepoint offers makes it easy to track data throughout your network, which is ideal for SMBs dealing with copious data movement. It also strengthens cloud security. Ivanti’s solutions can implement application controls for all your endpoints that do not disrupt users in their work. Ivanti ’s endpoint security platforms should appeal to SMBs without a dedicated IT team looking for easy deployment. With its visibility options and remote capabilities, it is ideal for mobile workforces or for data-transfer heavy industries. Ivanti is still using Heat’s fully automated software which should be ideal for those looking for thoroughness in their operational endpoint security. 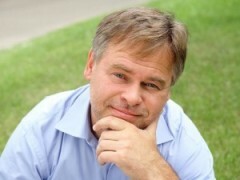 With several decades of experience, Kaspersky Lab dedicates itself to fighting cybercrime and to innovating new techniques to stopping attacks. They focus on internal innovations rather than on acquisitions and has an industry reputation for accurate malware detection and management for the layperson. The endpoint security platforms are well-regarded for their simple deployment and the thoroughness of their detection capabilities. They were in the Gartner Endpoint Protection Platform Magic Quadrant and the Solutions Review Vendors to Watch. McAfee is a recognized name in security, and their interface should be recognizable to most professionals even outside the IT fields. As such, SMBs will find it easy to transition to and deploy McAfee. Their latest research and solutions signal a transition away from the signature-based malware detection they helped innovate to more machine learning, behavioral analysis detection and prevention endpoint security methods with low user impact. McAfee saw recognition in the Gartner report on EPPs. One of the biggest names in computer and information technology, Microsoft offers an integrated set of endpoint security platforms designed to work with Microsoft’s operating system smoothly without needing to interrupt workflow with a complex deployment. It even provides a cloud-based management system. Given the ubiquity of PCs and Windows operating systems, implementation of Windows’ Enterprise Mobility and Security will be straightforward and shouldn’t conflict with Microsoft applications. SMBs and large enterprises via PCs will find this easy to work with. Palo Alto Networks has combined network, cloud and endpoint security into one integrated platform that delivers automated prevention against cyberattacks. Palo Alto’s solutions are multi-method and complete a platform-centric approach to prevention. The company received Health Insurance Portability and Accountability Act (HIPAA) certification, which will appeal to a vulnerable industry, and it is well suited to an integrated or hybrid solution. Gartner named them in the Magic Quadrant for Endpoint Protection Platforms. Panda Security’s Adaptive Defense 360 incorporates traditional EPP and EDR solutions as a single offering, providing continuous monitoring and prevention of endpoint-based activity. Panda offers EPP, email, web gateways and PC management capabilities — all delivered within a cloud-based management console. SMBs that are seeking easy-to-manage, cloud-based solutions should consider Panda as a shortlist entry in supported geographies. They also made the Gartner Magic Quadrant. RSA’s endpoint protection offering unique behavioral-based detection identifies unknown, zero-day malware and compromises missed by traditional signature-based detection methods. RSA offers lots of solutions, which means that some SMBs and larger enterprises might find them an all-in-one solution for their endpoint security needs. Their endpoint security platforms will provide good protection for all endpoints on enterprises’ networks. SentinelOne incorporates prevention, detection and remediation capabilities in one program. SentinelOne offers real-time forensics to deliver investigative capabilities and multiple behavior detection methods. The vendor aims to block malicious activity during the initial download phases and thus a good prospect to replace or augment existing EPP solutions with a solution with comprehensive EDR capabilities. SentinelOne made the Gartner MQ. Sophos’ Intercept X targets exploits in applications and operating systems and provides specific countermeasures to ransomware. It is specifically targeted to enterprises rather than SMBs. Sophos can provide a cloud-based administration, unified endpoint and gateway integration and protection against next-generation threats. Therefore enterprises will find Sophos ideal for their full EPP or supplemental needs. Gartner named it in the Endpoint Protection Platform Magic Quadrant. Cloud-based and shifting to a signatureless detection method, Symantec is regarded as a thorough anti-malware solution globally. It is the leader in EPP market-share and has added ERR solutions to adapt to the shifting EPP landscape. Their solution is ranked as one of the most thorough and secure, receiving high industry praise. Symantec was in the Gartner Magic Quadrant for EPPs. Focusing on multi-layered security, exploitation protection, and machine learning, Trend Micro’s offers a full suite of EDR and EPP solutions. It should fit with the needs of any buyer, SMB and large company alike, for endpoint security, data protection, and cloud security needs. Trend Micro was in the EPP Magic Quadrant report; it works to ensure mobile and desktop protection, and it continues to do research into enterprise security. Webroot’s EPP Solution—SecureAnywhere Business Endpoint Protection—utilizes behavioral analysis, machine learning, and contextual threat intelligence protects networks while remaining lightweight. Their solution provides multi-vector protection for all stages of endpoint attacks. Their cloud-based architecture classified a majority of the Internet for risks to evaluate browser safety. It can be a main EPP for SMBs looking for more lightweight solutions to their malware protection.